Manufacturer Menu with their Lighthouse Ball have managed to successfully reinterpret the archetypal oil lamp. The Lighthouse Ball Oil Lamp is a great alternative to outdoor electrical lighting since its eco-friendly and also creates a cosy romantic ambience. 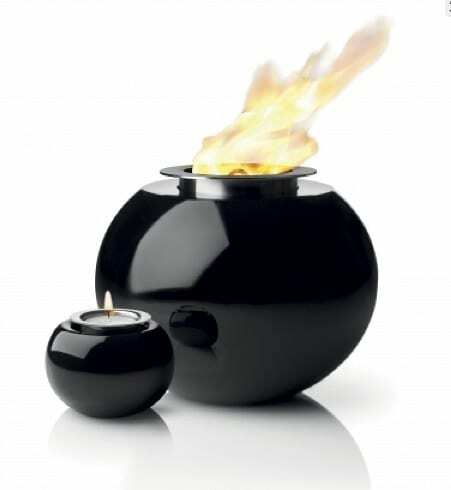 Perfect for short winter days and long summer nights, the oil lamp burns like small fires in the dark which in turn makes for some visually arresting imagery.The round outdoor oil lamps are designed by Christian Bjørn who was inspired by the traditional American “road torches” that were used on American highways to warn drivers of road construction in the 1960s. Made of weatherproof steel, the Lighthouse Ball also features a large removable oil reservoir in stainless steel and plastic that is easy to fill. 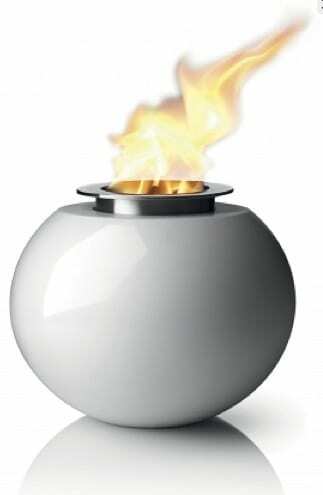 The thick fibreglass wick ensures that on windy days, the flame doesn’t extinguish and the ergonomic design ensures one can place it directly on tiles or grass. The Lighthouse Ball Oil Lamp can be purchased from emmo home for $119.95.